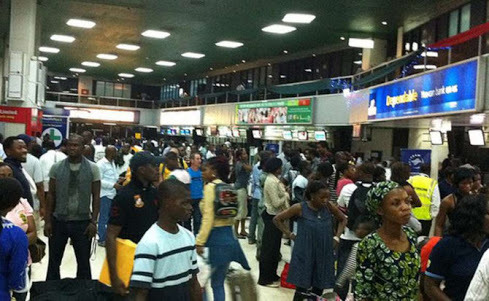 Some Nigerian airlines are in the habit of not informing passengers about flight delays until the last minute. They leave them in limbo that they have to decide if the flight has been delayed or not. This will definitely infuriate them. However, this doesn't have to be you. Jumia Travel highlights how to know if your Nigerian flight has been delayed. You arrive the airport hours before the flight and you settle down waiting to board the plane. However, the time for the scheduled flight has come and gone but boarding has not started. This is an obvious sign that something is amidst. When you visit the website of some airlines, they usually provide information on whether the flight is fully booked or not. But, if you notice that the airline has stopped selling tickets and at the same time, the flight is not fully booked, your flight has probably been delayed. Unfortunately, it is not everyone that can control their emotions when they are angry. Some may lose their calm to the point that they attack airline officials or their office. This should not be encouraged. As for you, prepare your mind for a flight delay. The least an airline can do is to provide real-time information on the status of your flight. Maybe these airlines are scared of announcing a flight delay, hence they simply keep mute. There are apps that can help you determine if your flight has been delayed even before the airline provide any information. For example, Google is using machine learning to help predict flight delays.